If the company has a desire to show itself at the fair, one has to think about how to stand out from the competition as well as from the big crowd and noise. You need to find a special way to best present your products and services. 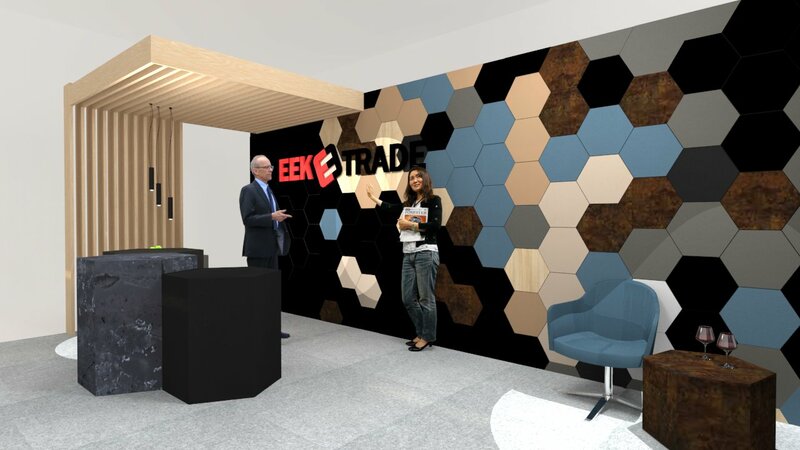 Our client EEK-Trade wanted to present itself at the annual interior design fair in Tallinn called INTERJÖÖR. 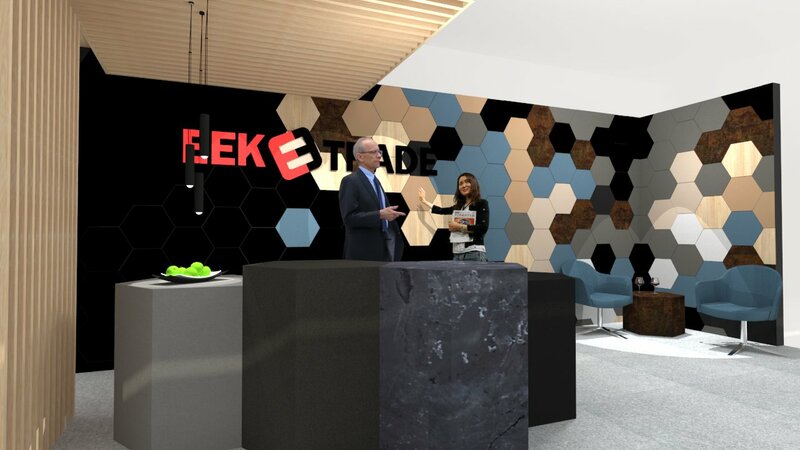 EEK-Trade offers the best choice and quality of laminated products and materials in both Estonia and other Scandinavian countries. To showcase their diverse range of products, we chose a motif of a honeycomb that shows different colors and different decor. We used these laminate plates as poufs and tables. 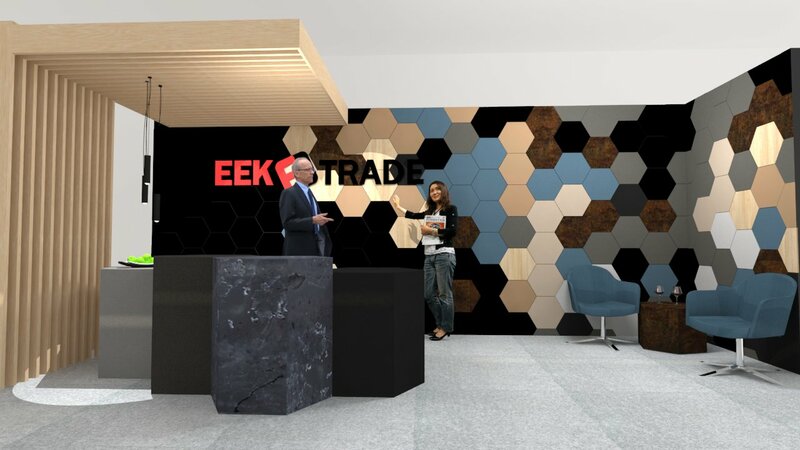 We also added the some places to interact with customers – both standing places and a seating area with armchairs. To emphasize where people could come to the table to ask questions, we added a decorative ceiling design. One of the most special EEK Trade materials that we like as well, and which we also highlighted as a high table is a black matte laminate which doesn’t leave fingerprint marks.